Montana is known for its pristine natural environment. After all, the nickname “Big Sky Country” didn’t come from nowhere! But, while you were thinking about checking out Montana for hiking or skiing or mountain climbing, you might not have realized it’s known for something else too. Haunted hot spots, ghost towns, and spooky stories! If you love all things haunted and spooky, you’re definitely going to want to keep reading — and maybe start planning a trip. Fort Benton, Montana, is an old settlement in the West. In fact, it’s one of the oldest. There you’ll find the Grand Union Hotel, which has been operating for over 135 years. So, it isn’t too surprising then that it has its fair share of ghost stories, right? The story goes that a drunken cowboy rode his horse into the hotel one night and was shot by the bar manager. Guests swear if you listen closely, especially around the staircase you can hear hoofbeats walking at night. The Old Montana Prison, then known as the Montana Territorial Prison, opened in 1871 and ran for over 100 years. The prison had a notorious reputation for poor facilities and overcrowding, especially in the mid-1900s. Over the years, some riots broke out at the prison, killing both inmates and guards. Since the Old Montana Prison is now a museum, you can take a tour and see bullet holes still scarring the walls. There have been several ghost sightings, doors slamming, and the sound of scratching over the years. The most famous ghost is of the prisoner Paul Eitner. Also known as “Turkey Pete.” He was in Old Montana for 50 years. Before Montana was even a state, people were flocking to the Boulder Hot Springs for its natural beauty and healing powers. 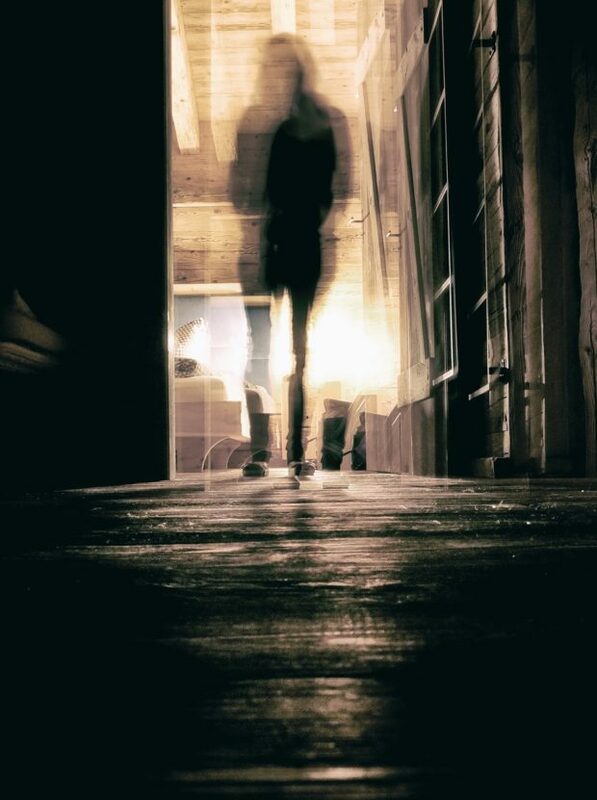 Today, visitors go to try and catch a glimpse of Simone, the Boulder Hot Springs most famous resident ghost, a woman who was allegedly murdered in the hotel. Try your chances and book a night in the Simon Suite! Visitors cite that they can feel paranormal activity and temperature shifts as well as the sound of children running through the halls. Back in the 1920s and 1930s men from all over the country were put to work by the Civilian Conservation Corps and the Army Corps of Engineers to build public works projects during the Great Depression. In Montana, Fort Peck was one such place. The Army Corps of Engineers were stationed here building the Fort Peck Dam, and the Fort Peck Theater was built to provide some entertainment. Today, visitors can hear men working, even when the theater appears to be empty. And some have spotted a man dressed in 1930s work attire wandering the halls. 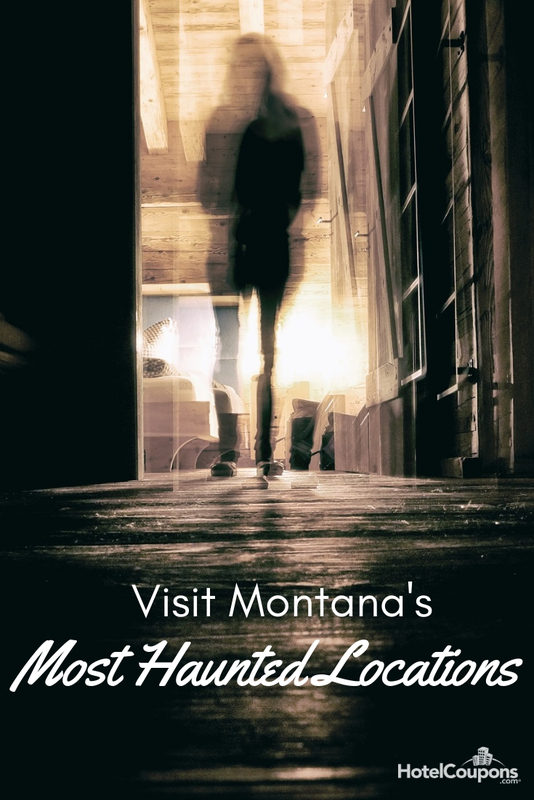 If you’re a fan of ghost stories and paranormal activity, there are plenty more of Montana’s most haunted spots to choose from that will keep you satisfied during any vacation!